'Life is what you make it' has now made it to Number Seven on Top Ten fiction list of Hindustan Times! It is indeed a joyous moment. There is also an article [ it has a nice picture of me too ;-) ] in Times of India Mumbai,yesterday, which features me and a few other blogger-turned authors.Click here to read the article. Many people write to me saying my life sounds like a perfect life and it seems like I live in a fairy tale! Some openly say they are jealous of me! I find that emotion really hard to understand!I have worked hard to get everything that I have today. (touch wood) My life is just as ordinary or as enchanting as yours. It is just that I always look at the brighter side and I do feel very fortunate for all my blessings which I keep affirming. One thing that I have truly learnt from life is that what Jerry and Esther Hicks keep teaching is indeed one hundred percent true. The laws of attraction do work. Positivity does work wonders. Once you understand (and practise) this simple but profound key, paths magically open up. (I am indeed a believer of Rhonda Byrne's Secret). So many people tell me that I am one truly positive person and ask me how I can be so happy all the time. Trust me, I have my really down moments too (ask my husband and kids and my closest friends), but I crib only rarely. Even in the bleakest of situations, I am indeed able to quickly bounce back and see the bright side. One of the things which has worked for me to be able to do this is journalling.I do maintain lots of journals. One of them is a hand-written little gratitude journal in which I simply write down things I am grateful for. I do not do it every day and I update it whenever I feel particularly good about something someone did for me or something that happened. Once I write this, it is a total 'pick me up'. If things are not going right for you, if something that you want very badly is eluding you, if someone has been really unfair to you, if the one you love has left you, if that promotion at work has not been happening, if life is totally treating you bad, then it is indeed time to GRAB happiness. Start a gratitude journal today. Walk into a nice stationary shop and go through the journals on display for sale. Run your hands on their covers. Look inside and see if there is adequate spacing. Do you prefer a plain one or one with lines? Do you want one with handmade paper or do you want a sleek modern one? Do you want a mole-skin one or a leather bound one? Choose one which makes you feel totally happy. 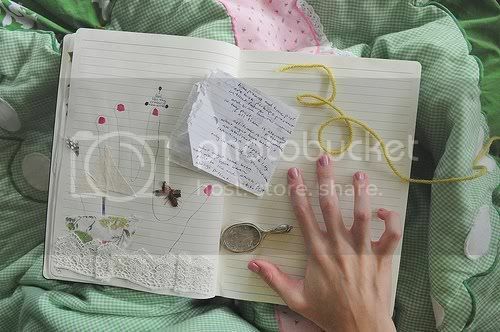 Now choose a nice pen too and keep the journal and the pen beside your bed. You are ready to start. At the end of the day, write down whatever little thing has made you feel good. You are not allowed to write any negative things in this journal. Did it rain today? Did the smell of rain make you feel happy? Write it down! Remember there are no rules for what you can write or how much you should write. Write it as long as it makes you feel good and happy. The only rule is no negativity. The more you get into this habit, the more you find things to be grateful for. You are at peace with yourself,because suddenly you realise that there is truly a LOT to look forward to in life, which you have been ignoring as the blanket of negativity which you had earlier enveloped yourself with, was clouding your judgement. Try it! Follow it sincerely. Believe in it and it will indeed change your life and fill you with happiness and peace. Reminds me of the positivity experiment we did ! Gratitude journal and positive visualization really works. I scraped my way out of an almost debilitating illness thanks to sheer power of positive thinking! Nice post Preeti...I am also doing same kind of things. Whenever I feel too low or to high, I just write down all the things because of which i was happy or sad or angry and when i read them after 2-3 days, i start laughing on the things which made me sad or angry and thinking that how can thesw things make me sad.. Writing helps a lot to be happy in life. For those who keep very busy at work to maintain a journal, and yet would love to say their thanks(perhaps by staying in their seats during a coffee break), this is wonderful site where you can post your thanks everyday, private and just for you..
You are absolutely right about enveloping yourself in negativity. We need to shed that cloak and be Positive. BTW congrats on your book hitting the Top 10 in HT. Awesome post, Preeti and totally needed everywhere! The attitude of gratitude is definitely the best thing that one can have. I too have a gratitude journal...beginners can use the gratitude journal published by The Secret people...its pretty and inspiring. I absolutely LOVED this post. Tempted to try. Sounds like a simple but fantastic idea!! okay, I cant wait to start writing one here' I am grateful that I can actually listen to music while working and not one workplace i ve worked for till date have minded it even a little bit.. I work better when nodding head at a melody apparetely!! 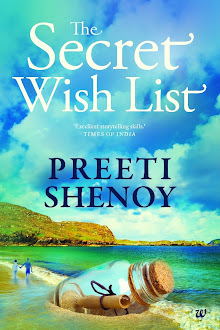 :)"
BTW, Is there any sheer chance you know where I can buy your second book here in Australia? I looked in every possible online searches.. no avail!! :( Help!!! Yes, it does sound truly perfect when one looks at you but it must not come without the conscious effort that you put in to make it perfect. Appreciate your writing this piece to give a mantra to the world which is surrounded by negativity. But you know Preeti, I feel its not easy to come out of your negativity zone until you have some positive energy surrounding you in form of your loved ones who stand by your side when you need them the most. You may be heights of cribbing and commiting blunders but their support and understanding makes the world perfect even if nothing goes right. Yes, it did rain last night in Bangalore; and, oh yes the smell and the sight and the sound did make me feel very verrry happy!!!! You write so beautifully... there is so much of hope and faith spun in your yarn :)And, it is also so very inspiring!!! 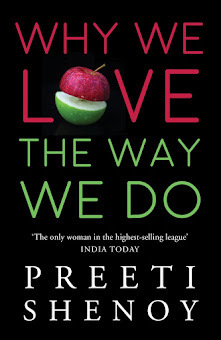 Preeti, Congrats on the tremendous success on your book. I've a journal in which I write about my dreams, my day and so many things except the bad or bitter experiences that I come across. When I've had a bad day, I flip thru its pages and it's like magic, I'm much happier and feel much better. The Gratitude journal is also a great idea. Thank you Preeti for coming up with such simple but very effective ways to fill our lives with happiness and cheer. I stumbled into your blog sometime last week. Your writings were so catchy to me, just like an unputdownable book and I finally finished reading through all your posts. Now cant wait to buy your books and read the same. Most of your writingsd and emotions which you displayed reflect my own which is why i guess i got totally attracted. I feel your blogs give me an inspiration to write my own even more regularly which i keep putting off. Thanks a lot. Hoping to have a good acquaintance with you. All the best. Wonderful thoughts.... :) It gives so much warmth reading your blogs !! Awesome, I have just started blogging and agree with you totally. Reminds me so much of the 'Seven days of positivity' carried out a few months ago... True...you are such a such a positive person and the 'energy of positivity' radiates so much around you! Nice to know you boost up others with the same! i read your first book 34 bubblegums and candies. It is a very beautiful book. Sometimes in life we forget a few little things that happen everyday for which we should be thankful. you are an exceptional writer i must say. congratulations on your second book and i wish you lots of success in life. this Iss a really nice idea.. i used to do it some years back.. but wud like to ask you, that in this techno-prone age, shall we still try the paper-pen way or the typing on Ms-word/notepad way. i tread the latter. please tell me which way you follow, as i will follow the same. congrats on the Book .. ANd I liked the way you have descirbed ..
you are a celebrity now ..
and the idea of writing what made you feel good end of the day is really nice .. thanks for sharing ..